Last week, many prominent economists in the United States penned an opinion piece in the Wall Street Journal recommending a national carbon tax as the most cost-effective way to combat climate change. Yet their call-to-action ignores the gap between how carbon taxes operate in theory and how governments implement them. North of the border, Canada’s real-life experience with carbon taxes underscores this phenomenon. First, some background. Many economists including 2018 Nobel Prize-winner William Nordhaus have designed ideal carbon taxes, which reduce emissions while promoting economic growth—but without considering how government interests affect implementation. Economists generally agree that an efficient carbon tax is characterized by (a) revenue neutrality, with all revenues used to reduce more costly harmful taxes, (b) substitution of existing regulations and (c) prohibition against subsidies to energy alternatives including renewable sources such as wind and solar power. But in reality, these criteria have never been achieved in practice. 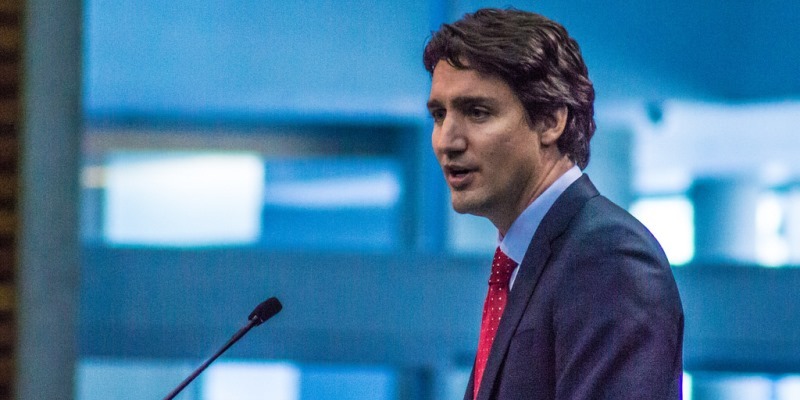 Consider the carbon tax levied by the Canadian federal government under Prime Minister Justin Trudeau, which went into effect January 1 (although several provinces already had their own carbon-pricing schemes). First, the federal tax is not revenue neutral, with only an estimated 90 per cent of total new revenues returned to taxpayers. And the revenues will not be used to reduce corporate or personal income tax rates, which impose much higher costs on the economy by discouraging investment, entrepreneurship and savings. Rather, the Trudeau government will issue lump-sum rebates to households based on income. Most analysis suggests that recycling carbon tax revenue in a lump-sum format will likely stimulate less economic activity than if that same revenue was used to lower other taxes. Nonetheless, Ottawa has chosen to rebate 90 per cent of the collected revenue in lump-sum payments. Moreover, Canada’s federal carbon tax won’t replace any existing regulations. Rather, the new tax will simply be added on top of existing regulations, which again, directly contradicts the textbook carbon tax design. If the Canadian federal and provincial governments repealed all other energy-related regulations including ethanol restrictions, the mandated coal phase-out, the Alberta oilsands emission cap, marine tanker bans, etc. and replaced them with a carbon tax, then it would be fair to call the result “cost-effective.” But that hasn’t happened and seems implausible. In fact, the Canadian government is moving in the opposite direction, adding even more red tape (Ottawa’s new vehicle emission standards, for example) on top of the carbon tax. Finally, economists repeatedly call for measures to prevent carbon leakage—where firms reorganize their activities or relocate operations to avoid the carbon tax—and to protect competitiveness. Many economists (including the authors of the WSJ op-ed) argue for a border carbon-adjustment system so imports would face a carbon tax and exports to countries without comparable carbon-pricing would be exempt from a carbon tax. Canada has not done this. Indeed, the federal carbon tax plan includes measures to mitigate competitiveness concerns for emissions intensive and trade exposed industries. However, the government’s approach targets high-emitters, meaning that service and low-emitting manufacturers will pay more in energy costs as a result of the carbon tax. And crucially, imports to Canada now enjoy a new advantage over Canadian producers, since the federal plan does not include an import carbon tariff. To make matters worse, exporters unable to pass their extra carbon costs to world markets will likely see their competiveness wane since the federal carbon-pricing plan doesn’t issue export rebates. Clearly, Ottawa’s carbon tax implementation should remind economists how the textbook carbon tax can operate in practice. Canada’s carbon-pricing system violates many key principles of an efficient carbon-pricing model. And that’s something economists and policymakers in Washington, including Democrats eyeing their party’s nomination for 2020, should understand.